Brains were straining during the week of the 24 January when the Infant and Junior Schools embarked on another action packed Maths Week. This year the event went hi-tech with iPads, QR codes and Google forms. 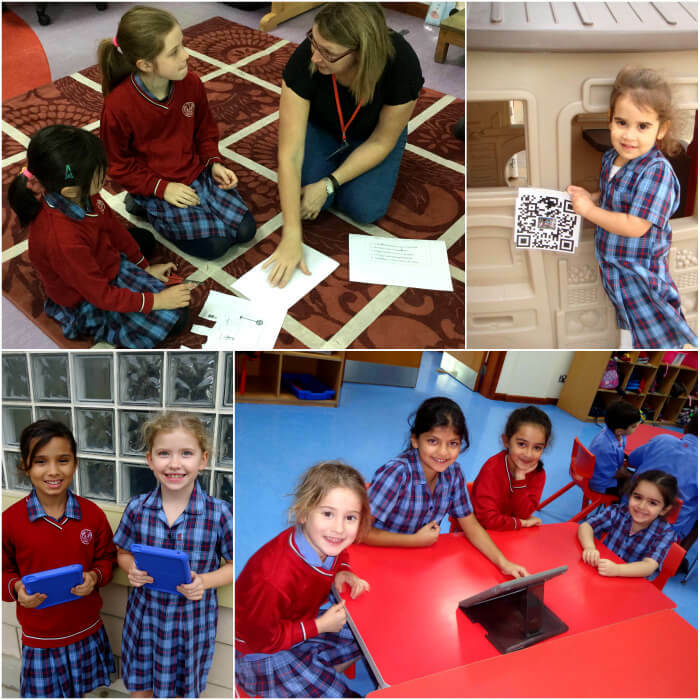 Students hunted down QR codes that were hidden in designated areas of the school. Once scanned, the QR codes revealed a variety of mathematical challenges that the children then solved. The pupils were then requested to submit answers on a Google form for the Infant and Junior Maths teams to then check. Correct answers were rewarded with House Points. A huge thanks goes to Year 7 students and staff at the Senior School that helped to create many of the maths questions and challenges that were used throughout the week. Our morning reading sessions were swapped for maths games to get the children buzzing with numbers. Junior classes also visited buddy classes in the Infant School where they completed various fun maths activities. Thank you to all of the students and staff for making the week a big success. The winners of the QR Code Inter-House Challenge will be revealed in the end of term House assembly.